Despite the European Court of Justice (ECJ) ruling which annulled measures against the LTTE, the European Union today said the terror organisation remains listed as a terrorist organisation by the EU. Issuing a statement, it said the ECJ judgment was a legal ruling on the procedure used for listing the LTTE. “It does not involve any assessment by the Court of the substantive reasons for the designation of the LTTE as a terrorist organisation. The annulled measures cover the period 2011-2015. Designations of the LTTE adopted by the Council later in 2015-2017 are not covered by the present ruling. 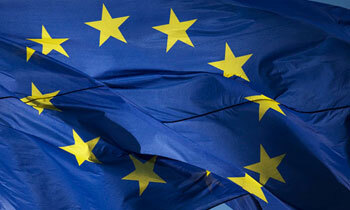 This means that the LTTE remains listed as a terrorist organisation by the EU,” it said. It said EU institutions systematically review their practices following rulings of the European Court of Justice. “The current ruling will be carefully analysed. Any necessary remedial action will be taken to adjust the listings to these procedural requirements and to ensure legally robust designations,” the statement said. The EU reiterated that it continues to consider the LTTE as a terrorist organisation and the EU's restrictive measures against the LTTE remain in force. A dog by any other name has fleas. We welcome EU's commitment! However, If LTTE is a banned organisation, why EU allows LTTE supporters to display the LTTE flag and publicly show their solidarity? It should also be relevant that the ltte-terrorist flag be banned locally, and in the foreign countries, where the parasite-freeloaders are. Hope the relevant authorities take appropriate action. Is the Nazi party outlawed by the EU?Is it due to lift a ban on its existence? I bit confused here...LTTE was banned at the time it had a leader and probably had a registered office and officials etc...now EU wants to lift the ban which means - the organisation they try to lift the ban must have a leader for the organisation! the million dollar question - who is the leader?whare the organisation been registered? and the rest of the officials?